Face your fiercest foes with confidence and strength when you add the John Riveted Oiled Chainmail Hauberk to your heavy armour ensemble. 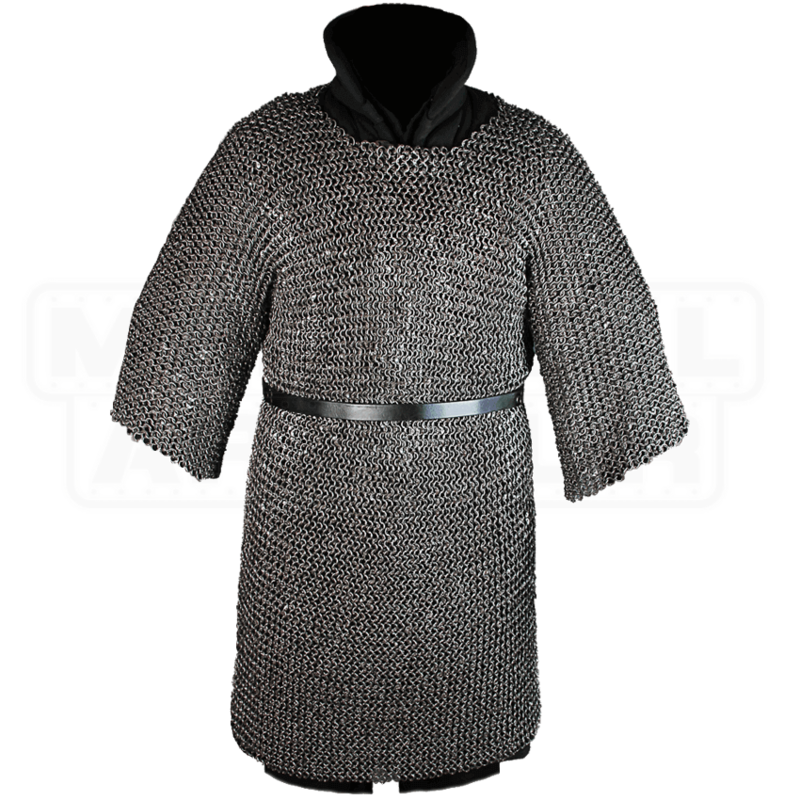 This chainmail tunic is made of fully riveted steel rings woven together in a 4-in-1 pattern. The short sleeves of this hauberk fall two-thirds of the way down each arm, and the length hits at about mid-thigh on most wearers. Great for wearing with leather and steel armour as well as other chainmail armour pieces, this versatile hauberk adds authenticity and coverage to the outfits of medieval knights and fantasy warriors alike. This hauberk has not been treated with chemicals or galvanized with zinc, but comes coated in oil to guard against rusting. Regular oiling is required to maintain its quality. Wear it over a padded gambeson, as shown, for best safety and comfort, and add a belt to help distribute its weight. 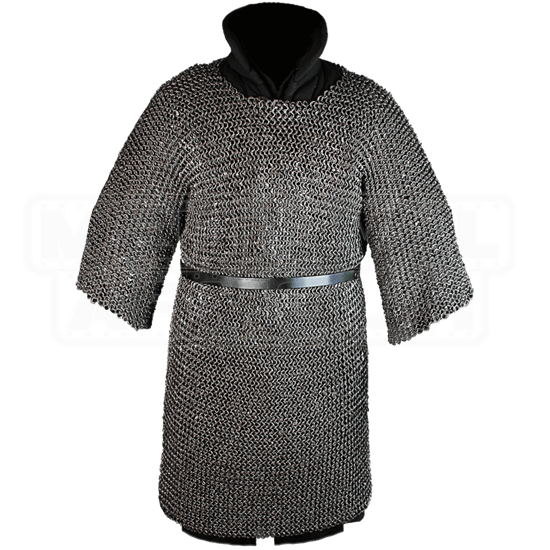 Ideal for LARP and costume use, the John Riveted Oiled Chainmail Hauberk is an impressive addition to any medieval or historically inspired look.